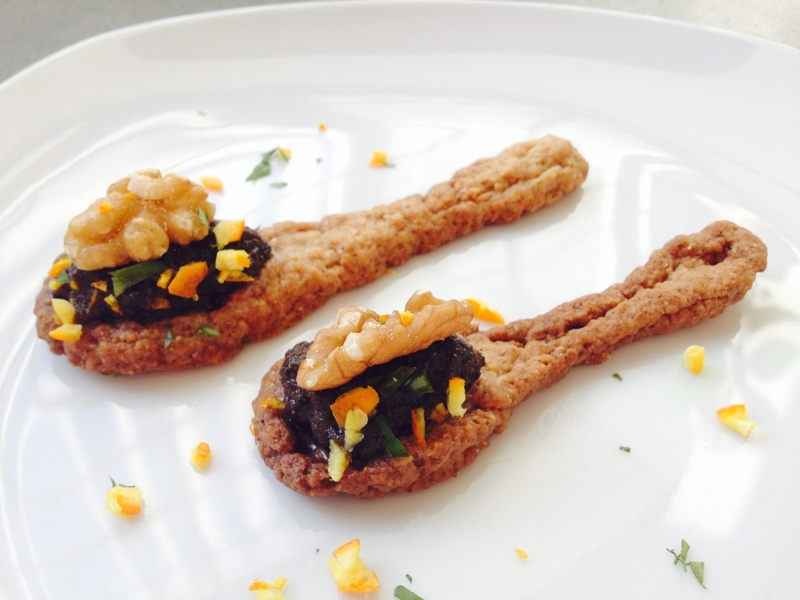 ‘Foodini’ is a new kind of 3D printer that is set to tantalise the taste buds of the future. Will introducing more technology into the kitchen reduce and diminish the need for chefs to showcase their artisan skills, or will it enhance their creativity? Barcelona-based company ‘Natural Machines’ has developed the latest ‘must have’ gadget for culinary creatives, combining the latest tech with high-end gastronomy. Offering not only a feast for the eyes but guaranteed to stimulate the taste buds too, the Foodini 3D printer is the 21st Century chef’s ultimate kitchen appliance. As a budding food connoisseur, you may be curious to know what this machine offers that a chef cannot master themselves. After all, half of the indulgence of dining out is the knowledge that someone with far more patience than ourselves has gone to a great deal of effort to prepare a delicious culinary masterpiece, just for you. To the credit of Natural Machines’ 3D printer, the open capsule model means the chef prepares and loads the appliance, therefore giving them full control of the ingredients going into the 3D printing process. Designed to make preparing food healthier, easier and fun, Natural Machines claims Foodini is the first 3D printer to print all types of real, fresh, nutritious foods, from savoury to sweet. With the guilt factor eliminated, surely its now up to the professionals to demonstrate and justify just what this gasto-tech can do. One such chef is Spain’s Michelin-starred Paco Perez, who at ‘La Enoteca’ in Barcelona is already experimenting with 3D-printed cuisine. Capable of printing with a wide range of foods from mashed potato to chocolate, the machine can print structures several centimetres high and allows for perfect continuity when repeating patterns and decorations. Natural Machines co-founder Lynette Kucsma says: “Imagine you need to print breadsticks in the shape of tree branches for a hundred people sitting at an event. 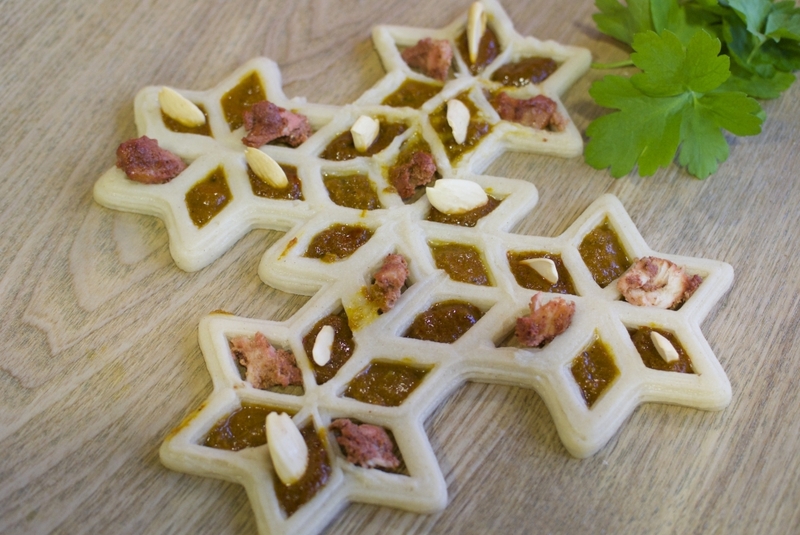 Rather than piping it or doing that by hand, you can automate it with a 3D food printer”. Other chefs too are hot on the heels of this technology as they experiment with the remarkable level of precision that would not have been possible before. Yet Lynette Kucsma touches on the possibility of the future, suggesting “there’s an additional feature that could transform the appeal of these products: the ability to cook”, something that she feels will take these devices to the mainstream. Embracing the new challenges and opportunities technology presents is exciting for designers and creatives alike. We think this opens yet more doors to new experiences, sets new heights in what we deem possible, and if nothing else, gives us something to decide on for ourselves. Like all technology, when put in their hands, it is down to the imagination and insight of the designer to really demonstrate the qualitative uses such devices can unveil.